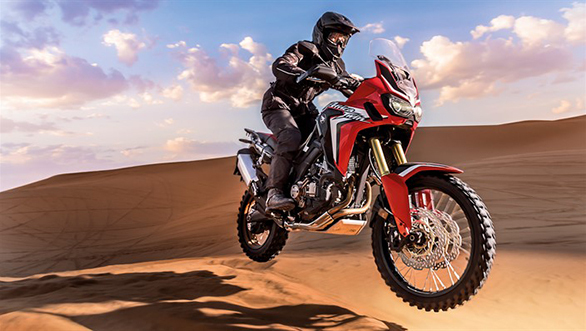 Honda at their press conference in Auto Expo 2016 announced plans to launch the CRF1000L Africa Twin, a cult all terrain motorcycle. The litre clas motorcycle is well known for its adventurous streak having proved itself in variuous off road events especially, the Dakar. In India Honda motorcycles will offer the Africa Twin with the recently updated 998cc parallel twin. using a 8-valve valvetrain, the liuid cooled motorcycle also features a lightweight steel semi-double frame. Honda will be assembling the Africa Twin in India through the CKD route. While a definite timeline hasn’t been announced as yet, expect the motorcycle to be launched in India in the second half of 2016. This will be Honda’s second Made in India motorcycle following in the footsteps of the CBR.